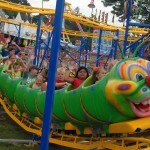 The New Wacky Worm Roller Coaster suitable for the entire family. Curvy turns and fast action make this a family favorite you will want to ride again and again! 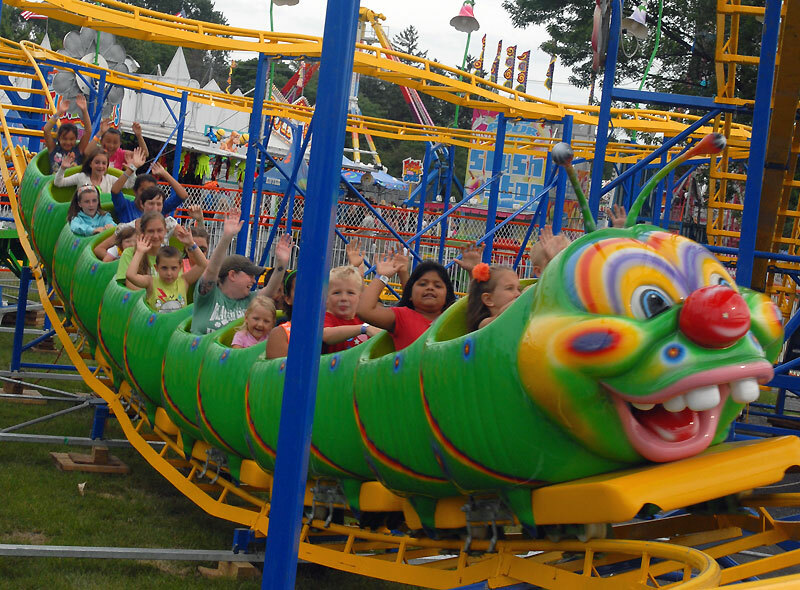 The Wacky Worm is a kiddy coaster that travels in a two story figure eight with a nice banked drop at the end. Fun for the whole family! 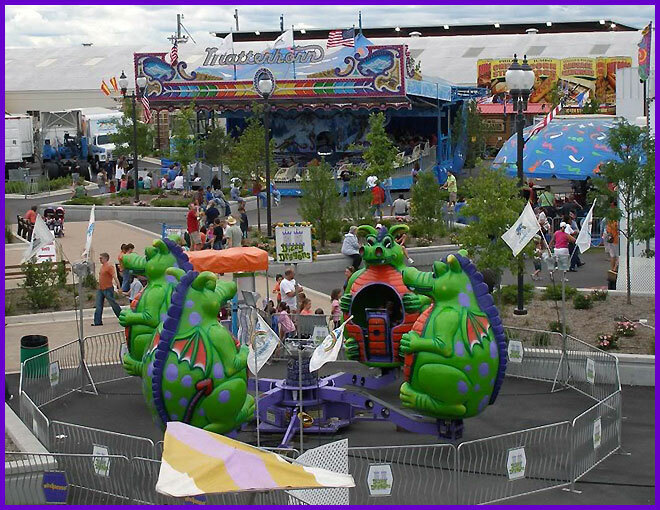 Height Requirement: Over 42 ” to ride alone or 36″ – 42 ” can ride with a supervising adult ~ Riders must sit upright, and hold onto the lap bars. Riders must ascend and descend stairs at entry and exit. A family favorite that is both relaxing or exciting. Sit above the crowds in a gondola tub that has enough room for a family of four. 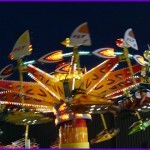 Here is a ride that the whole family can enjoy and ride together. Sit back, and enjoy the scenery. 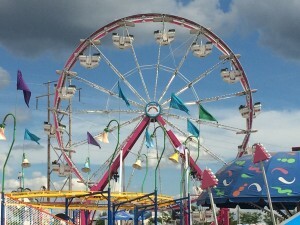 The Century Wheel is the icon showpiece of Fantasy Amusement Company, Inc. 15 – 4 passenger tubs carry riders 65 feet above the midway providing them with a spectacular view of the surrounding area. In 2011, the Century Wheel received a upgraded lighting package and now features thousands of programmable LED lights! 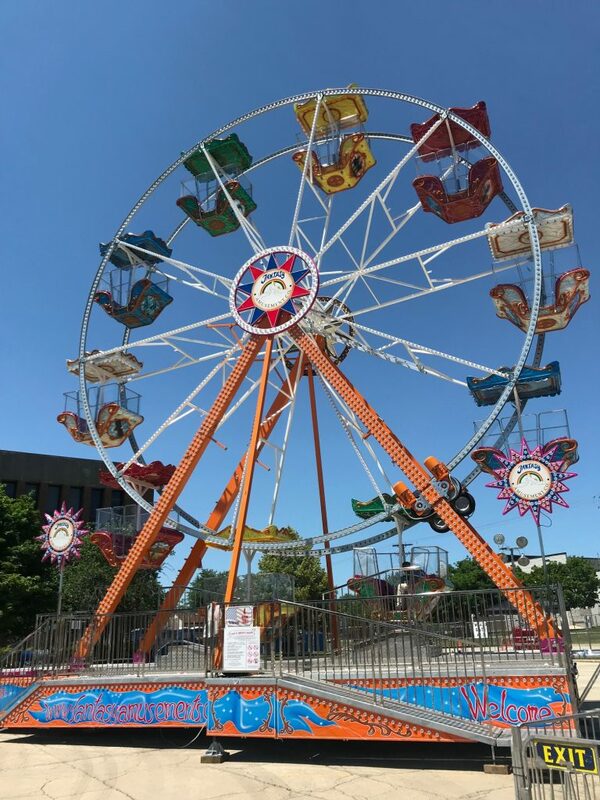 The Century Wheel provides a unique and amazing light show capable of dazzling spectators from miles away! Height Requirement:Over 42” unless with a Supervising Adult ~ No Single Riders Riders must assume a proper riding posture without the air of another guest during the operating cycle. A proper riding posture is one in which the rider has their back against the seat with control of their extremities. Riders must ascend and descend stairs at entry and exit. 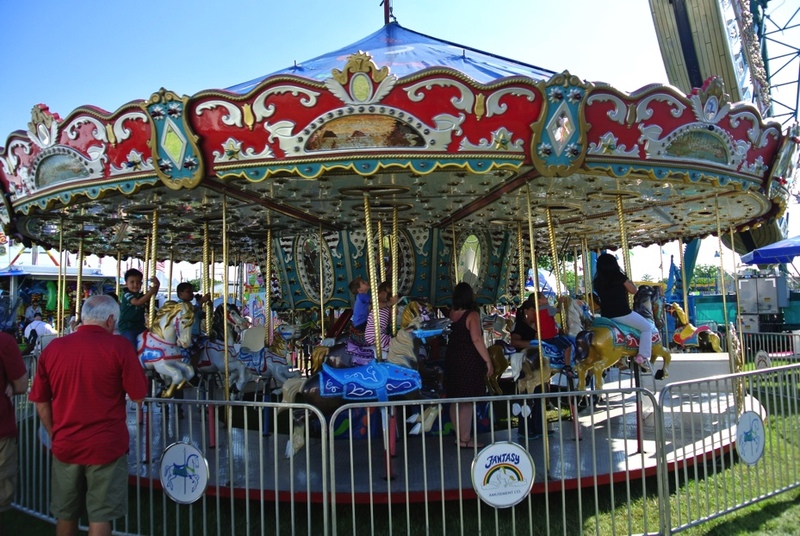 A carnival tradition that features 3 rows of beautifully painted carousel horses than any child young or old will be excited to ride. The ride also features two chariots that allow for parents to sit with their children as they ride, or even just watch as their children ride upon the horses. 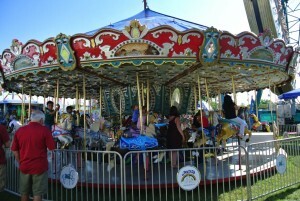 The Carousel features beautiful horses that gallop in a circle! Height Requirement:Over 42” unless with a Supervising Adult for riders 36″ – 42″ ~ Riders must be at least 42″ to Ride Alone. Riders must sit Upright, and hold onto the horses. Riders must be able to step up onto a uneven platform. Bench style seats are also available. ride. Our Scooter building has 12 cars crashing, bashing and slamming – great (safe) destruction derby fun! 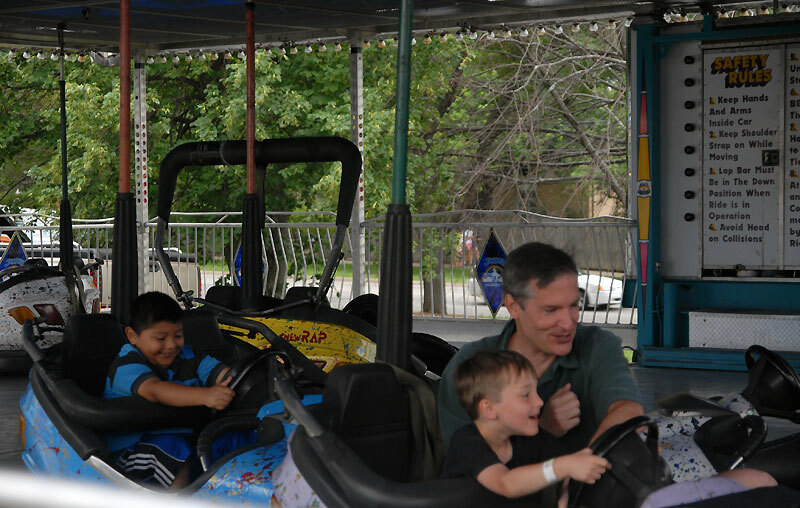 Height Requirement: Over 42” to Ride ~ Over 48” to Drive or Ride Alone Riders must sit upright, be restrained by the shoulder harness, operate the foot pedals and steering wheel. Riders must be able to setup onto a platform and into the cars. Riders must ascend and descend stairs/ramp at entrance and exit. Spin around and around on another classic made in America ride. Created in 1927, this has been a family favorite for decades. Families are able to sit together in one of seven tubs as they rotate and spin on this hilly track. 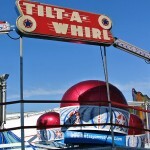 The Tilt-A-Whirl is a traditional mainstay that is still loved across the country. 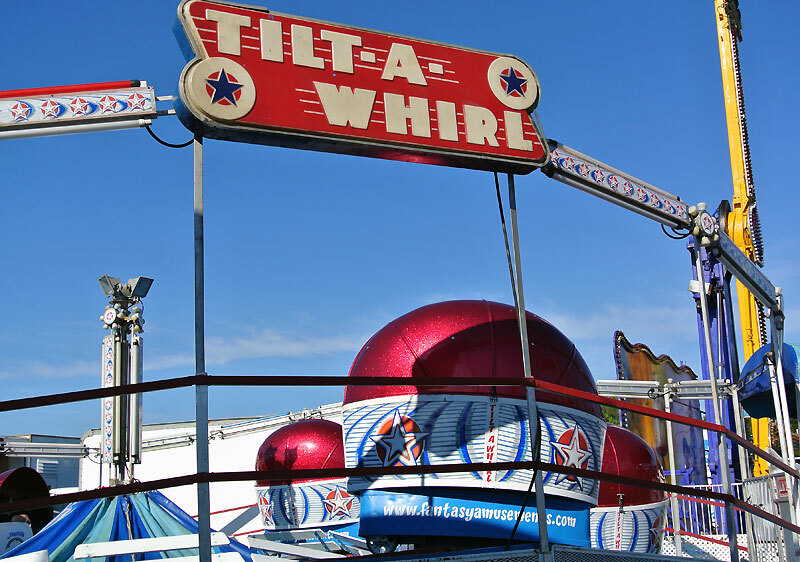 Featuring off-center spinning, whipping going up and down hills, triple spin motion. 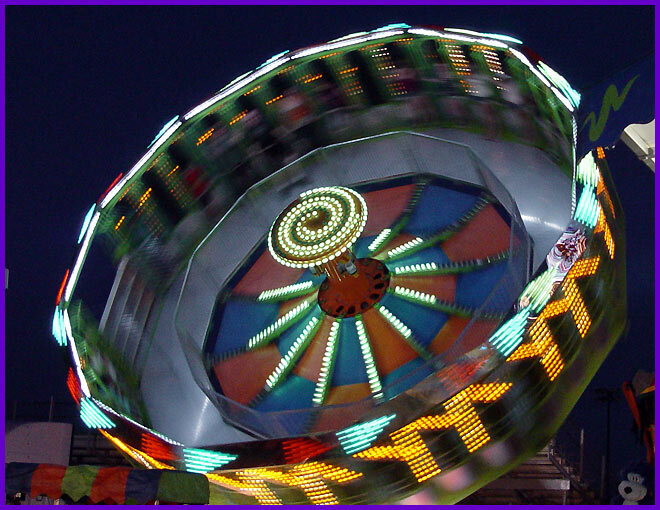 Spin round and round as you go up into the air while being held in by centripetal force and a seatbelt. A ride that makes your head and your stomach spin so much that you won’t know which to hold! 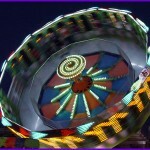 This is a ride for tweens, teens, and adults alike! The Zero Gravity is a high speed, gravity-defying experience taken to new heights! Riders stand against the wall and as the cylinder begins to spin, it rises in the air at a 70 degree angle! Height Requirement: Over 42” to ride and must stand upright and along during this spinning ride. Riders must ascend/descend stairs at entry and exit. The closest thing to being “Superman”! 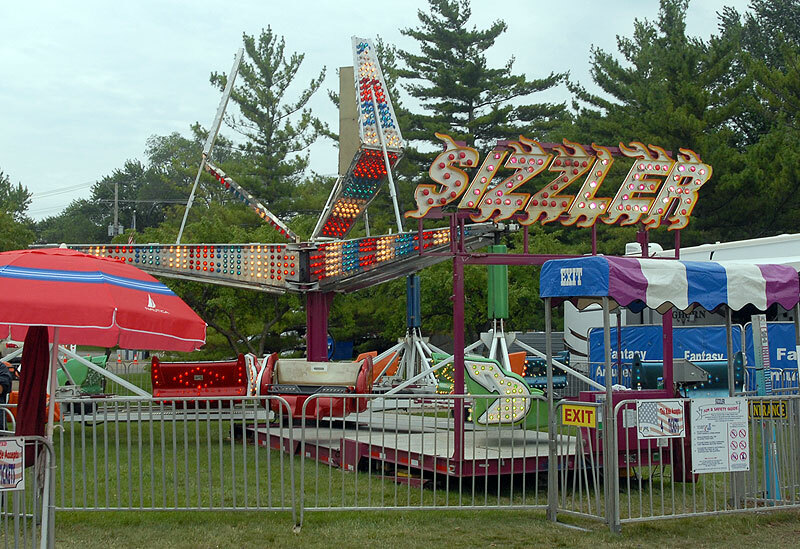 This ride lifts you 30ft In the air and allows you to soar through the wide open sky. Patrons ride on their belly and watch all those below on this very colorful and fun ride. This is a more relaxing, slower spinning ride that is fun for all. Height Requirement: Over 42” Rider must step up into the kite in a prone position and be flat. 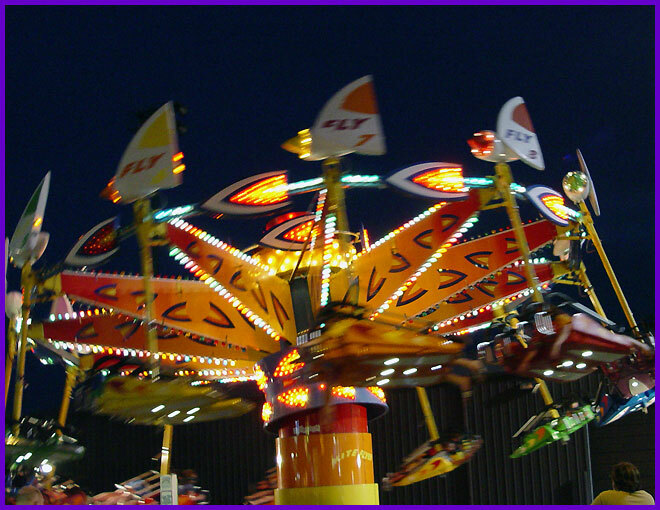 Riders must withstand a spinning ride that turns at a high rate of speed. Each kite holds a maximum of 275 lbs. It is not recommended that any child under 3 ride this ride. A twist on the family favorite, instead of spinning apples, you and your family spin dragons. Not only will the dragons be dizzy, but so will you! Each rider controls how fast or how slow their dragon spins. 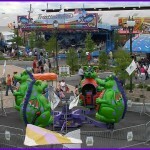 The Dizzy Dragons features four giant dragons that you can spin and sit in. 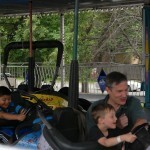 Great fun and a very attractive ride for the little ones! Height Requirement: Over 42” unless with a supervising adult for riders between 36 “- 42” Riders must sit upright and entry into the ride car requires negotiating elevated steps. 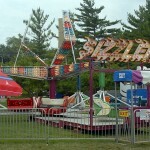 The Sizzler is a multi action ride that twirls riders in circles. Each of the tree arms are connected to spindles with four cars. As the center rotates, so does the spindles giving riders multiple actions! Height Requirement: Over 48″ Unless With a Supervising Adult 42 – 48″ ~ Riders must sit upright, and be restrained by a lap bar and hold onto the bar during the ride. Riders must be able to withstand strong side to side forces. New in 2016! 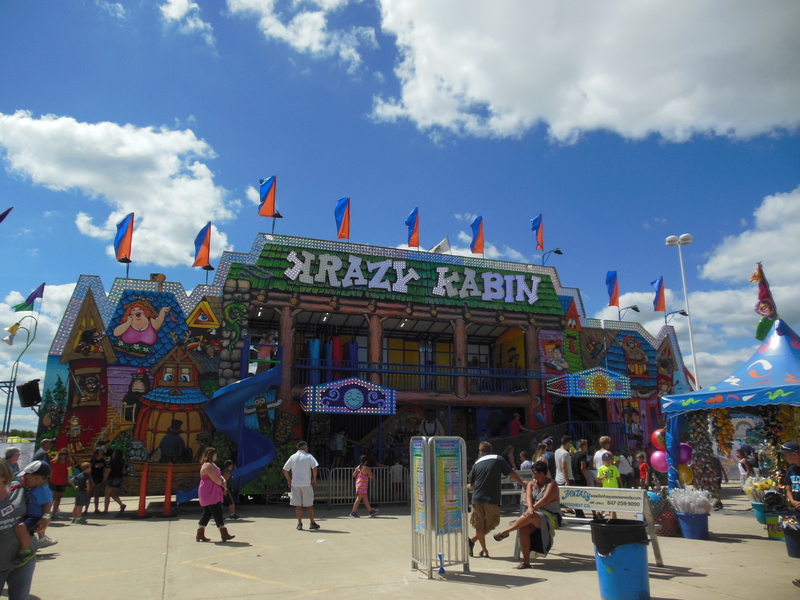 This one is fun for the entire family, with many fun tricks including a Suspension Bridge, Moving Walkways, a spinning barrel and, to finish the fun, a Spiral Fun Slide at the end! Height Requirement: Must be Over 42″ to enter individually, or over 36″ with a Paid Adult. Patrons must be able to navigate uneven, moving surfaces independently. New in 2018, this Family Style Ride is perfect for our Family Festivals, Perfect for Rentals; Weddings, Music Festivals and all Special Occasions.